Golden Film SAE 30 is an ideal choices for lightly loaded diesel engines used in canal boats, watercraft, older generators (e.g. Lister, Perkins), etc., where it can dramatically reduce the likelihood of bore glazing. 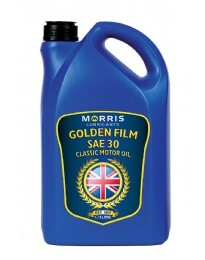 Furthermore, the low level of detergent / dispersant makes Golden Film SAE 30 an ideal choice for 1960s/70s VW air-cooled engines without full flow filters.